This photo is of the city of Umm-el-Fahem, my research site. Umm-el-Fahem, the second largest Palestinian locality in Israel, was declared a city in 1985. The city’s urban infrastructure however, is very poor, with no industry and hardly any job opportunities. The city is a dormitory consumption site. It is a concrete jungle, with almost no urban planning, no neutral public space, playgrounds or green space, except in cemeteries and home gardens. 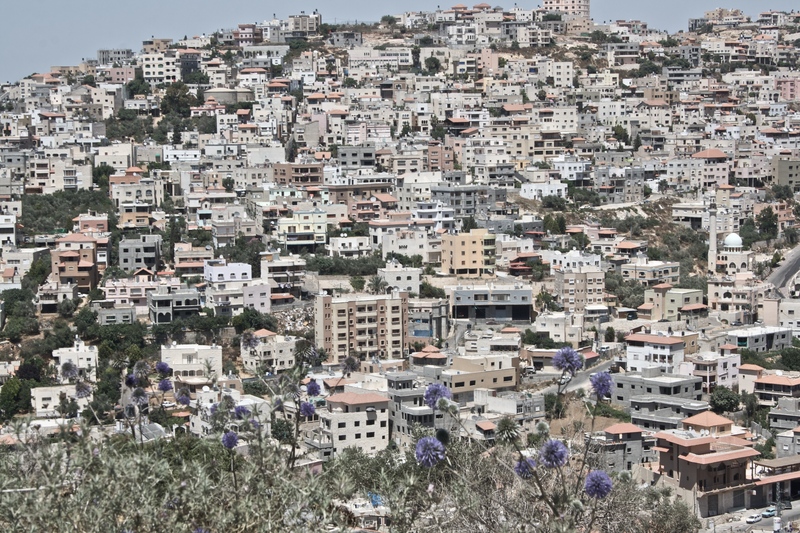 Umm-el-Fahem suffers from a shortage of land for public use and has a severe housing crisis. In Israel, although land is under state ownership, Palestinian citizens are excluded from enjoying access to state land or public housing. Therefore, housing is self-provided and people use every inch of their land to build their houses, often with little to no distance between them and their next-door neighbours. Umm-el-Fahem inhabits a state of suspension where it is neither a city nor a village.